Immerse Yourself in the Beauty & Tranquility of Nature The 2600-acre Highlands Nature Sanctuary protects the Rocky Fork Gorge – a 100-foot high steep-walled canyon renowned for its stunning rock formations, ancient white cedars, and spectacular wildflower displays. 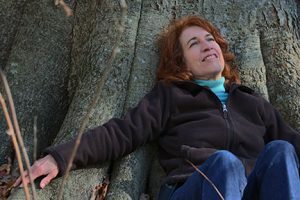 Guests can enjoy over 16 miles of nature trails at the Sanctuary, and trails at many other Arc of Appalachia preserves within easy driving distance, including ancient American Indian earthworks such as Serpent Mound and Fort Hill. 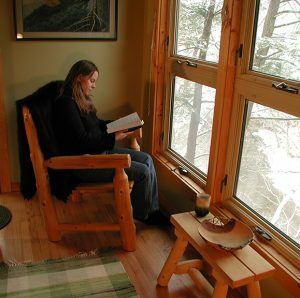 Our lodges are open seasonally from the last weekend of March until the middle of November. Please be sure to read the FAQ section for any questions and read the Sanctuary Information for more information on the Highlands Nature Sanctuary. The Zen River Suite is perched on the rim of the bluffs overlooking the breathtaking Rocky Fork Gorge. The bed, which sets close to the floor, affords a spectacular view through six floor-to-ceiling bedroom windows. 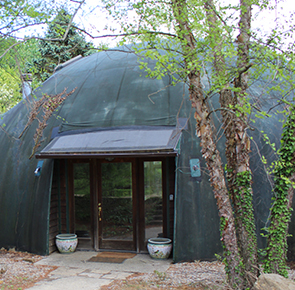 Adjacent to the Eyrie Suite at Hermitage Lodge. Private entrance and deck. One bedroom, large living room, full bath, full kitchen. 2 night minimum stay. Adult guests only. Adjacent to the Zen River Suite above, the Eyrie has a stunning view from the deck and bedroom windows. Overlooking the Rocky Fork Gorge. Fully forested and remote setting. Slightly smaller than the Zen. Private entrance, one bedroom, livingroom-kitchenette, full bath and private deck. 2 night minimum stay. Adult guests only. More info and Photo Gallery. 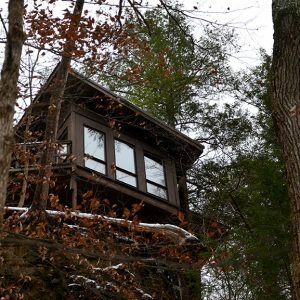 Leatherwood is a charming, cozy cabin just a few feet above the Rocky Fork Creek. 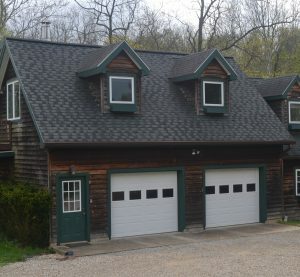 Located among a small cluster of private houses and cabins on rural Cave Road within walking distance of the hiking trail hub of the Appalachian Forest Museum. Two bedrooms, one bath, full kitchen. Up to four people. 2 night minimum stay. 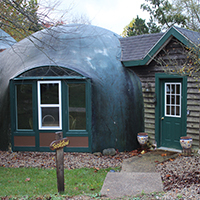 Chanterelle is a charming, cozy second floor loft located at Whispering Springs next to the Dome House. Features two adjoining bedrooms, one bath and a full kitchen with a private deck. Limited Wifi avaialble 2 night minimum stay. Ravenwood is fully-restored historic mill house from the mid to late 1800’s on an exceptionally scenic stretch of the Rocky Fork Gorge. Access to a hiking trail right outside your door. 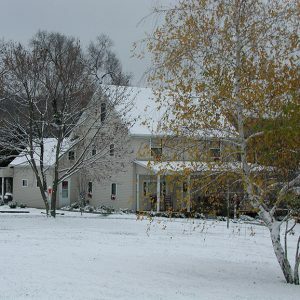 Two stories of glass windows, large livingroom/diningroom, large kitchen, one bath. Reserve either the first floor or the entire house – either will still give you complete private use of the house and grounds. 2 night minimum stay. 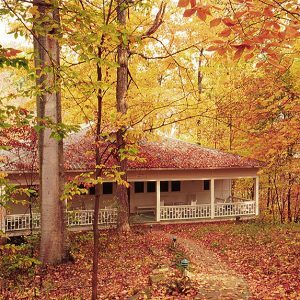 Beechcliff is a fully remodeled turn-of-the-century group lodge with three full length porches, five bedrooms with two single beds each, large kitchen, large diningroom, and a medium-sized livingroom. Bathroom is dormitory-style with two private baths and two showers. Designed for group gatherings. 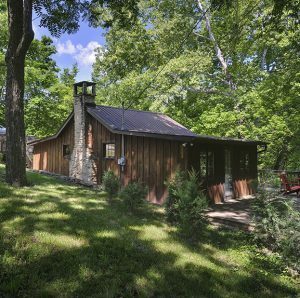 On the Rocky Fork Creek in a private forested setting. 2 night minimum stay.